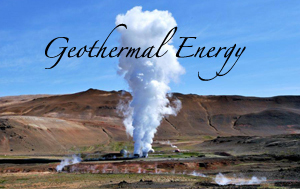 Many technologies have been developed to take advantage of geothermal energy - the heat from the earth. The geothermal sector has been quietly steaming for some time now. Unlike wind and solar, geothermal is one of the few clean sources of energy that can provide baseload power without storage devices. And while it may not have the same appeal as wind and solar, the investment and use of geothermal energy will quietly enhance in the near future. SoftBank Group is expanding its renewable energy business to include geothermal power. The Japanese IT giant already intends to build 27 huge megasolar power plants across Japan by fiscal 2017, and it also has plans for two wind farms. But the move into geothermal energy, a more reliable energy resource, is an effort to ensure more stable growth as an electricity retailer. Japan-based SoftBank will have SB Energy, its subsidiary specifically for investments in developing renewable energy, extend construction and operation from PV and wind power to geothermal power generation, according to Japan-based Nikkei News. As a first step, group subsidiary SB Energy has begun a field study to build a small 300kW binary-cycle geothermal power plant in the city of Itoigawa in southern Niigata Prefecture. The company expects to begin construction of the plant in one to two years and launch operations by 2020, taking advantage of Japan's feed-in tariff mechanism for renewable energies to sell the electricity. SB Energy is surveying hot spring spots with potential geothermal resources in Niigate Prefecture, central Japan, for a plan to install geothermal power-generating capacity of 300KW with estimated investment of JPY100-1,000 million (US$0.80-8.03 million), Nikkei said. Unlike PV and wind power generation which hinges on weather conditions, geothermal power generation is relatively stable, Nikkei indicated. However, geothermal power generation is subject to geological conditions, chemical substances corroding equipment, and the impact of volcanic activity. As there have been few geothermal power projects in Japan, SB Energy has a cautious attitude and therefore will step in at a small scale to gain experience and know-how before making larger investments in the future.